The Telluride Festival of the Arts, one of the nation's premier outdoor fine arts festivals, announced today its Schedule of Events for August 16-19, 2007. Against the backdrop of the majestic San Juan Mountains, the Festival will showcase national and regional artists and culinary experts from across the United States. that it's not necessarily what you do but how you do it. The Telluride Festival of the Arts, one of the nation's premier outdoor fine arts festivals, announced today its Schedule of Events for August 16-19, 2007. 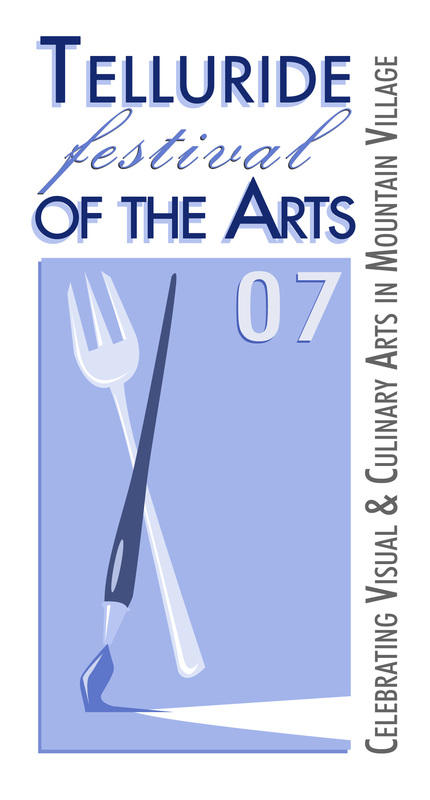 Against the backdrop of the majestic San Juan Mountains, the Festival offers visitors the opportunity to meet and talk with renowned and emerging visual artists from across the United States as well as sample sublime cuisine from award winning chefs. The signature celebration of the weekend is the Grand Tasting event which happens on Friday, August 17 in Heritage Plaza and the Conference Center Plaza at 6 p.m. 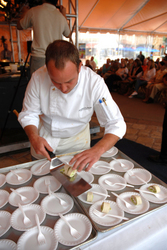 The Grand Tasting event brings together Telluride's top chefs and restaurants with world class wines and spirits as guests enjoy distinctive selection of dishes and desserts. Telluride Festival of the Arts kicks off the weekend with its Patrons Welcome Reception. Guest chefs and artists join TFA sponsors, local dignitaries and VIP guests for an intimate reception. Sixty world-renowned artists display their masterpieces for your viewing pleasure, with art available for purchase in Heritage Plaza and the Conference Center Plaza in Mountain Village. A graduate and professor of Johnson & Wales University, Chef Stone will demonstrate his unique culinary style based on his years of experience which included working for French Master Chef Raymond Blanc. A driving force of local restaurant industry, Chef Linzinmeir serves as executive chef of Excelsior Café, Bluepoint Grill and Chair 8 when not appearing as a regular guest of The Today Show. The Festival Wine Tasting will be a singular event that will offer the opportunity to taste and vote on wines from all corners of the United States. As the culinary vision behind Rinja, one of Denver's top restaurants, Chef Jasinski will provide an entertaining demonstration based on the mantra "that it's not necessarily what you do but how you do it." Inspired by the live music of jazz saxophonist Jeff Solon, Cynthia Duff will demonstrate her painting and how color, movement of line and subject matter inspire her creations. Roth brings a dynamic culinary duo to the big tent. Chefs Matt Selby and Tyler Wiard team up to prepare an array of seasonal tastes in a lively cooking demonstration. 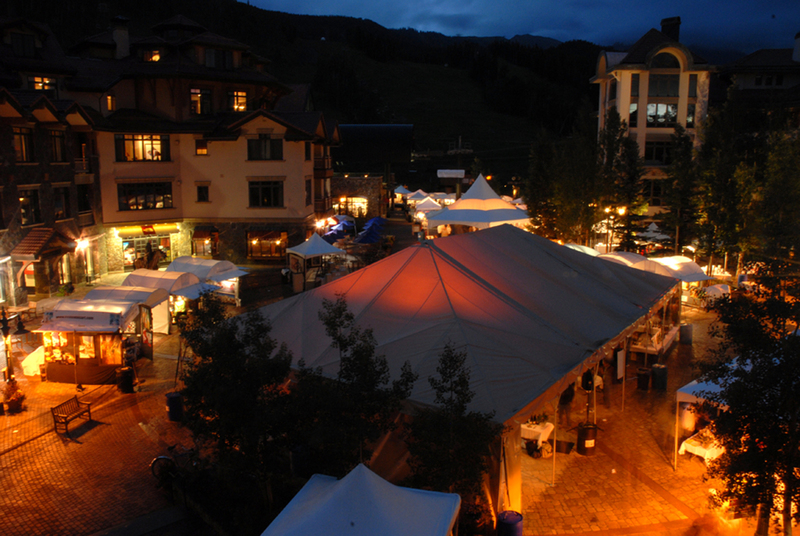 Telluride's top chefs and restaurants will join together to tempt festival attendees' palates with distinctive dishes and delectable desserts that will be paired with world-class wines and spirits. The Colorado Farmers Market will be a gathering of local farmers who will be selling an array of produce including: organically grown vegetables, poultry, honey, fruits, jams and much more. Artist Greg Barnes will conduct demonstration of pastel technique. Barnes has recently been enjoying the vibrancy of pastels and the drama of charcoals, but he is also well versed in the water and oil mediums. Recognized as Denver's Top Chef by 5280 Magazine, Tyler Wiard, Executive of Elway's, brings a seasoned approach to his cooking demonstration. Artists Vernon & Karen Leibrant will conduct a presentation on wood turning techniques. Leibrant specializes in the creation of high quality wooden bowls and platters of all sizes, small to very large. Fine Wine specialist Shelly Sale will guide attendees through a flight of wines that will prove that the glass really does make the difference. Sale will explain how Riedel wine glasses are tailor made for specific wine varietals. The Progressive Tasting is a well-deserved favorite of the weekend, featuring three stops at Mountain Village's finest restaurants throughout a late afternoon. Executive Chef Blaine Staniford from the award-winning FUSE Restaurant in Dallas, TX will prepare sampling of Asian Fusion cuisine to accompany the assorted sakes. Dubbed a "rock star" by TV personality Rachel Ray, Chef Matt Selby has recognized as the Best Chef in Denver and is the culinary vision behind Vesta Dipping Grill and Steuben's. With a lifelong fascination with gemstones and jewelry, artist Christine Grey will conduct a presentation on precious metalsmithing. The educational seminar will teach attendees how to perfectly match your favorite summer wines with the creative and simply prepared summer dishes. The Ketal One Martini Workshop will offer a variety of only the best Ketal One vodkas for your martini tasting pleasure lead by bar master. The Chef & Restaurant Pairings provides an opportunity to enjoy a specially created menu at a selection of the finest restaurants in the scenic and historic town of Telluride. Guest will enjoy Ketal One Bloody Mary's as they partake in dozens of food stations while entertained by live music from internationally acclaimed and award winning jazz pianist Julian Waterfall Pollack. The Telluride Festival of the Arts (TFA) is an annual weekend-long, culinary and visual arts event held in Mountain Village, CO. TFA hosts nationally renowned chefs and artists from across the United States in a one-of-a-kind outdoor exhibition nestled in a box canyon surrounded by the majestic 13,000ft peaks of San Juan Mountains. For more information, visit http://www.telluridefest.com. Perched at 9,500 feet, Mountain Village is an intimate alpine enclave of luxury hotels and condominiums, stylish boutiques and innovative fine dining. Home to the state-of-the-art Telluride Conference Center and the convenient Mountain Village Activity Center, this European styled alpine village provides unsurpassable scenic ambiance with an emphasis on guest service. Ski runs meander through the town, giving many homes, condominiums, and hotels direct ski access to the slopes. All elements combine to create a modern alpine elegance to complement the rustic charm of Telluride.